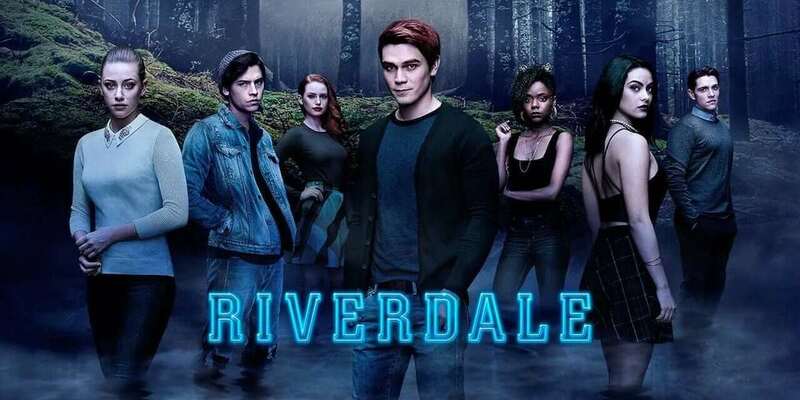 The internet has been blowing up with hatred toward the Riverdale cast for quite some time, but especially since prominent YouTuber, Elijah Daniel, tweeted something negative about the show, causing the cast to harshly respond. The internet has not been a kind place to Riverdale. Since its premiere, the show and cast have been consistently criticized for, well, everything about it. From harsh words about the Riverdale cast and their performance, to even worse feedback to the show’s writing, there isn’t much going for Riverdale, except for the fact that it really isn’t that good, but that’s perfectly okay. Clearly there are millions of people who enjoy watching Riverdale (or hate-watching, whatever floats your boat). Maybe some believe it is a genuinely amazing show, but I am, admittedly, not one of them. I enjoy hate-watching Riverdale. I mean, sometimes I genuinely enjoy the episodes and the plots, but the dialogue is on another insanely unrealistic level. The show drives me insane at times; how could it not with lines like the one depicted below and everything that comes out of Cheryl’s mouth? However, it is the series’ outlandish antics and bizarre plots that make it the crazy ride that it is. What’s going to happen on the next episode of Riverdale? Who the hell knows! This show follows no consistent plot pattern, and that’s okay! 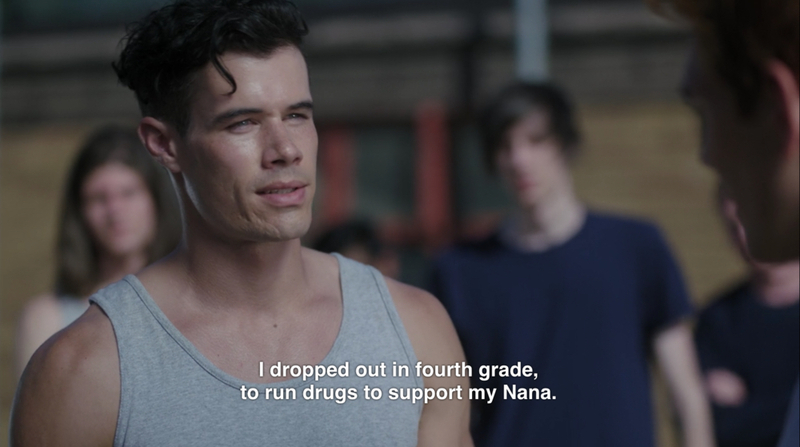 At this point, it seems like the writers of Riverdale have just embraced that their show makes little to zero sense and has absolutely no realistic depiction of a teenager in the modern day. I don’t know about y’all, but when I was 15, I certainly wasn’t having a forbidden relationship with a teacher or tracking down a murderer (who happened to be my father). Riverdale is 100% a guilty pleasure show. It has been since the very beginning, but there’s nothing wrong with that. While Chilling Adventures of Sabrina, also led by showrunner Roberto Aguirre-Sacasa, is a thrilling hit, Riverdale is that show that you can’t stop watching. I never intended to watch past the first season of Riverdale when I chose to binge-watch it on Netflix, yet here I am, after binging season 2 in less than a week and watching season 3 weekly. The Riverdale cast doesn’t deserve the backlash they get for just doing their jobs. They can’t control the writing of the show; all the cast can do is give the best performance possible with the material they’re given. However, the Riverdale cast cannot honestly believe their show is composed of high quality content. Lol he’s worried about a fanbase when none of us know who he is. People recognize me from the back of my head. What do you do? It’s understandable that the Riverdale cast would want to stand up for a show that they pour themselves into for 10 months out of the year. After all, they’re filming 23 episodes per season (aside from season 1), so this is their lives. Riverdale is their livelihood, and it’s given each actor name recognition in Hollywood. However, should they have attacked someone, just because of their social status, when his comment was by far the least offensive they’ve received from trolls online. Everyone is entitled to their opinion, whether you agree to it or not. The cast has every right to defend their work and the show they work so hard on, but they kind of just made fools out of themselves. Riverdale is entertainment, plain and simple. Millions watch this show on The CW about four friends navigating their way through small town politics and crazy conspiracies. Not every person is going to enjoy the show, but clearly there are plenty of people who do. Even in response to Elijah Daniel’s above-referenced tweet, fans admitted how terrible they think Riverdale is, but how they cannot stop watching. we know. we love it anyways. it's the new schlocky show to watch. It's bad, but you can't stop watching it. So, maybe it’s time for the Riverdale cast to embrace the terrible. Love the show, love what you do, but maybe don’t expect fans to defend a show that isn’t producing award-winning content and stories. It’s okay to accept that a show, even the one you work on, is bad. Riverdale isn’t great, but it’s engaging. With every episode that passes, fans can’t help but watch, even though sometimes it feels like you’re watching a trainwreck. Riverdale continues Wednesday, January 16 at 8/7c on The CW.